These spacious three and four bedroom duplexes come complete with one and two baths, full-sized kitchen with stove, refrigerator, living room area, and storage unit. Each Emerald Home complex is equipped with a playground and a laundry facility on the premises. 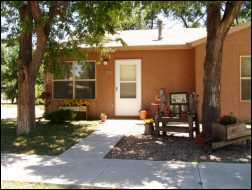 Location: Duplexes are available in Lamar, Granada, Holly, Sheridan Lake, and Springfield, Colorado. Rent: Rent amounts are based on income.